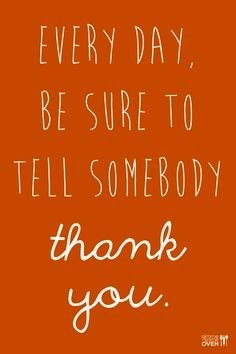 UA-114812973-16 Well Rounded: #thankfultuesday - Say Thank You! I'm BACK!!! (Did anyone imagine Independence Day or am I just getting old?? haha). Sorry I missed last week guys. I know you were probably an emotional wreck with out your Tuesday gratitude pump up. HAHA! Thank you for always reading my posts, thank you for your positive words, and most importantly thank you for being you! 1. For a friend who will road trip with me in the middle of the week to go watch the BYU Cougars play in Portland, despite the fact that we both have to work early the next morning. 2. For parents who invite me to come to dinner with them on Friday night. 3. For a mother who begs me to buy things that match with her. 4. For THE greatest set of students in my missionary preparation class. They are rock stars! 5. For a father who can give me a priesthood blessing at the drop of a hat. 6. For a friend who believes in me more than almost anyone, minus my parents. 7. For my job. Today is my one year anniversary! 8. For the man who told me on Sunday my talk was one of the best he had ever heard. 9. For the friend who is as spontaneous as me and convinces me to go to the Women's World Cup with her. (We made the decision in about 12 hours). 10. And finally for all of you. I know I don't have a ton of readers, and that is fine. But I'm grateful for all of your positive words and for not totally abandoning me and my craziness. Thank you so much Chaun! My goal is to keep it real but sometimes I don't feel like I do, I'm so glad you can tell I am trying. Thank you!!! I love youuuu, Sierra! Dinner with your parents sounds so fun...I'm close with mine too and I agree, that's like an ideal night right there! And my mom and I are the exact same way...I'm sure we'd have a blast on a mother-daughter double-date! And keep doing yo' thang...all of us faithful readers of yours love it. Your positivity inspires US! Awww thank you Erica! I'm over here just trying to be like you haha. It is official, someday we need to have a mother-daughter double-date! I love this! What incredible things to be thankful for! I've been thinking about how essential gratitude is to be able to keep the spirit with us. You're the perfect example! Oh man Ashley you're too nice. I doubt I'm the perfect example, but I really appreciate your kind words! Love it! It's so fun that your mom likes buying matching things with you - I find that my mom and I always end up matching WITHOUT meaning to which is another level of matching! You have so many fantastic things to be thankful for, and we're thankful for YOU. Your positivity is contagious! haha that is so awesome. Clearly my mom and I need to take our matching to the next level. I'll keep you posted ;). Thank you so much!! First time visiting your blog and I automatically love it because of the GBH quote at the top! Love it. this is so great! i love thankful lists! haha! Love your blog, you are a sweetheart! This is a great list!